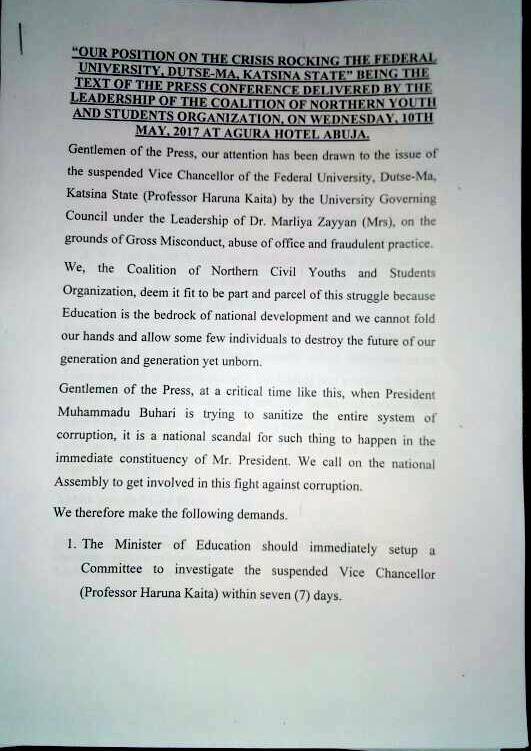 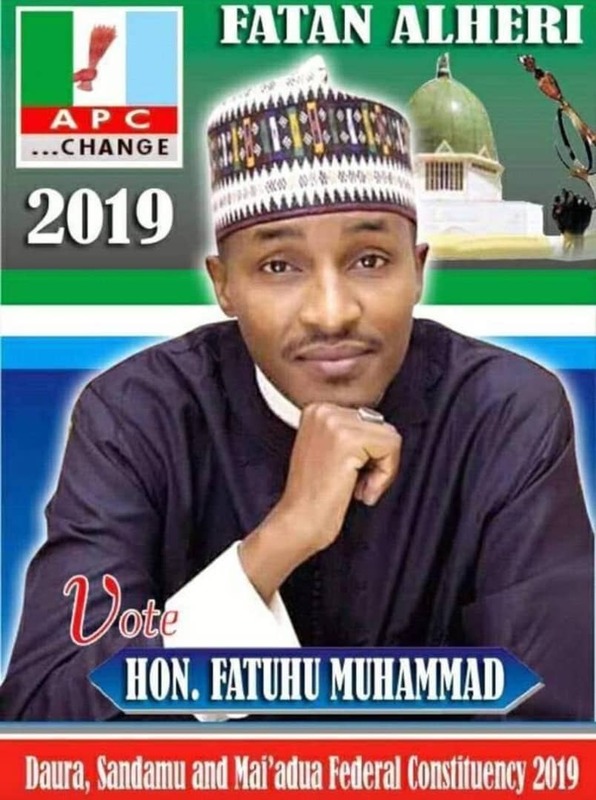 The Coalition of Northern Youth And Students Organisation has condemned in strong terms the interference of some prominent Northern elites in trying to politicise the suspension of the Federal University, Dutsin-ma Vice chancellor Professor Haruna Abdu Kaita. 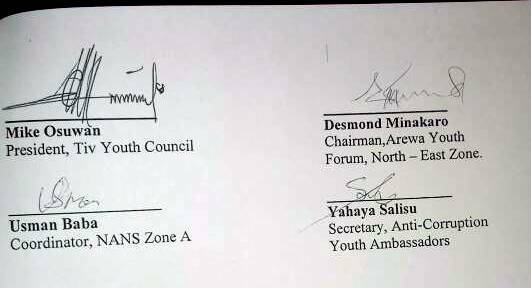 In the communique, the coalition also calls on the Minister of Education to immediately setup a committee to investigate the suspension of the Vice Chancellor within seven (7) days. The coalition also called on the chairperson of the University Governing Council to continue to withstand the pressure by some few individuals who want the suspended Vice Chancellor reinstated unconditionally. 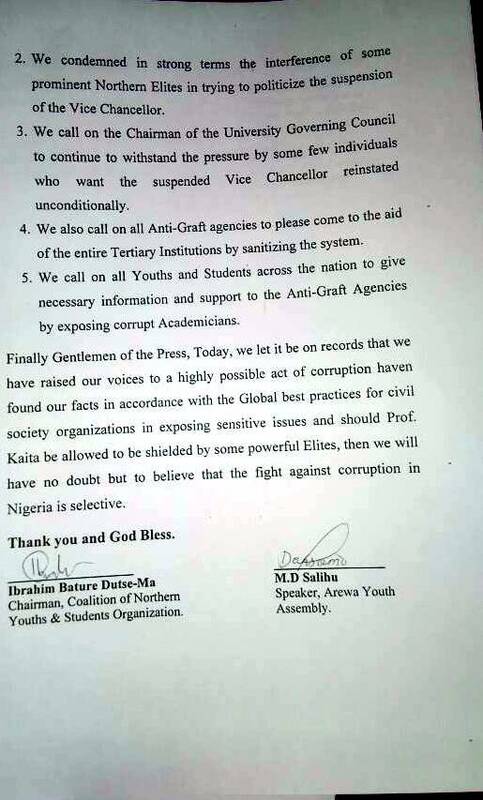 They also pleaded with all the anti-graft agencies to investigate the entire tertiary institutions to sanitize the system. 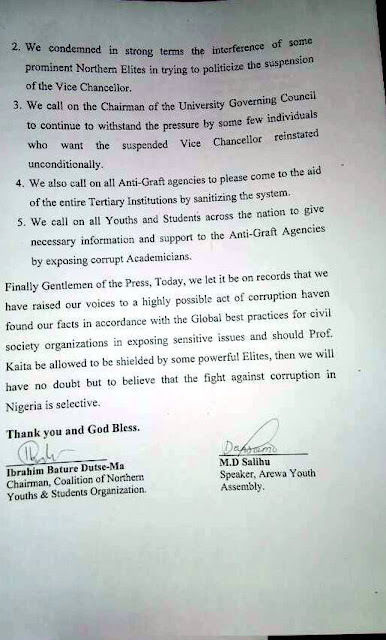 The coalition then concluded by calling all youths and students across the nation to give necessary information and support to the anti-graft agencies by exposing corrupt academicians.